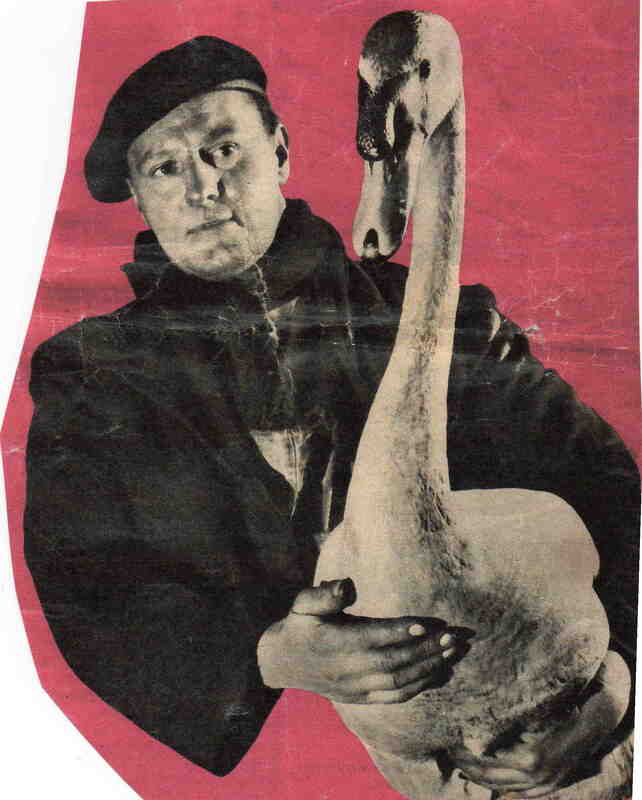 Charley the Swan, Pet of Westthorpe pit with L. Palmer. See note below. Photo copyright Hayward Smead. Courtesy of Tony Broome. My dad, Vic Green,was a maintenance engineer at the pit and was also a best mate of Charley’s. He once saw him flying around, as though lost, and Vic shouted ‘Charley! Charley!’ and he came down to him. A sad day when Charley was run over in the pit yard. My dad is now 90 and he still remembers Charley with affection.He says that Charley did not like everyone and had a particular hatred for one of the pit supervisors! Probably justified! I can remember the swan very well as my mum worked in the pit canteen for a long time I do believe he got knocked down and died he was a friendly swan. Charley the Swan is pictured in May 1955 with L Palmer, Westthorpe Surface Electrician. Charley settled on the colliery reservoir in 1952 with an injured wing and was adopted as the pet of the pit. He had the freedom of the pit but accepted special attention only from surface electrician Mr L. Palmer. Do you have any memories of Charley?